We were lucky to have a chat with SOLO winners of Grampians Challenge 2016 Lisa Dominguez and Stewart Bennet about their nutrition and gear strategies. Learn how champions do it and who they are. Q: We all know you are well developed through all three disciplines, but what is you strongest discipline, and which one is least? What is your sport background? 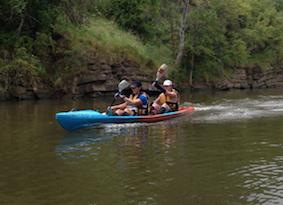 Lisa: The bike is my strongest leg and I am least experienced in paddling. I did athletics as a kid and then moved into field hockey and swimming in high school, then triathlon. I did my first adventure race in 2016. Seems like an obvious thing, but quite often we take a map and focus on route planning without paying enough attention to the legend of the map. Mountainous areas might have 20 (even 50) meter contour intervals which makes it a whole different story, as steep climbing as well as steep descending slows you down dramatically and ultimately leads to a different route choice strategy. Well it was actually a relatively relaxed pre race having had the logistics planner for the past week or so. Really just meant we spent a lot of extra time packing and repacking and analyzing packing choices. The prologue and opening ceremony on Tuesday evening was a great chance to mingle with some other teams and partake in some classic Aussie style fun – a handball competition, vegemite sandwich eating competition, beach esky and thong relay and surf life saving flag race. Bit of a laugh before the opening ceremony welcome, complete with Tim Tams and steak sangas. We had sorted and packed all our gear into tubs and after registering and going through mandatory competencies Wednesday morning, we dropped our tubs and bike boxes off Wednesday evening. Quite civilized really. Previously postponed Grampians Challenge race has finally got a new date. 27th of November is now confirmed with Parks Victoria. All previous entries are transferred to the new date and registration is open again for those who could not make a previous date but interested to take part 27th of November. Originally scheduled for 16th of September classic multisport race Grampians Challenge was cancelled due to extreme floods in the Northern Grampians. This was the team’s first hit out since Godzone and we had finally recovered from that epic expedition and were excited and ready to race together again. "It looked pretty straight forward on the maps, but reality proved different with lots of fresh and old unmarked logging roads etc keeping everyone guessing. Even the MTB park map was incomplete." - enjoy team AdventureJunkie.com.au story, epic jorney through New Zealand wilderness in 4.5 days, prepared by Bern Dornom and Hugh Stodard! “If you are an adventure racer and you did not race in the Grampians this weekend you missed out a great event”- Rob Preston, team ThoughtSports/Shotz Nutrition said. Grampians National Park is a Victorian gem, listed in Australian National Heritage list and offers endless opportunities for those looking for some adrenalin: dramatic sandstone formations, pristine lakes and extensive net of 4wd roads. 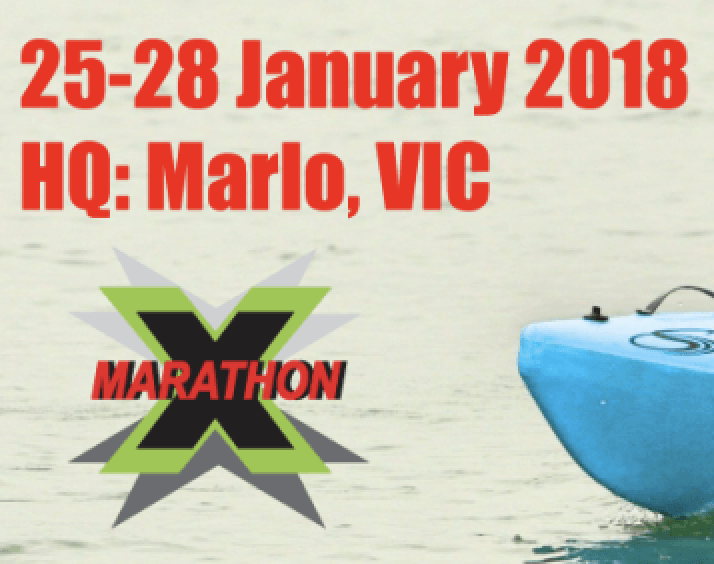 The X-Marathon adventure race, which was held in the Victorian High Country over the last four years, is moving to the Gippsland area and changing its format from 24 hour event to 36 hour fully supported expedition event. The event is suitable for experienced adventure racers from across Australia and New Zealand and is expected to be accessible for intermediate races and beginners who wish to get a taste of real adventure racing with all its highs and lows. Ok, it is time to reveal our secret training weaponry! There were lots of questions on schedule and the details, here we go - schedule is firmed up and is available at official Advanced Training Page. We stick to beautiful country accommodation, Assess Ears Lodge, as our base for those two intensely charged days. On Fri everyone is expected to arrive any time after 7 pm and get ready for Saturday, that's all. We will meet you at cosy dinning lodge with wood fireplace. Brief facts about a race - Wengzhou Adventure Challenge, one of the most prestigious adventure races in China, 4-day stage event, with daily distances around 70-90km. Prize money $150000, distributed among first 12 teams of four. 30 teams, about 22-23 foreign ones and quite strong local Chinese teams is the rest. Some facts about the team Adventure Junkie - Serge Kurov & Maria Plyshechko, Adventure Junkie full-time crew from Melbourne, VIC; Alex Hunt from Hobart, TAS; Sam Stedman from Townsville, QLD. We have been racing together before for a few times, we working great as a team and our mind is set on the result. It is easy, when goals are clear and the same for everyone in the team. It’s 07:00 on a cold and wet Sunday morning in November 2013 and I found myself sitting in my car at Brimbank Park in Keilor, a north western suburb of Melbourne. I am feeling overwhelmed and nervous thinking, as I take in my surroundings, that I am in way over my head, that I am out of my depth, I am outclassed, out equipped and I’m about to be exposed as the fraud and pretender that I really am. I am fighting that voice inside my head that is screaming at me that I don’t belong, that I’m not good enough, don’t know what I am doing and that I don’t have the right or what it takes to be a part of that which lies before me this day. Adventure Racing, in particular Mark Burnett’s Eco Challenge is the reason I run today. When I first saw Eco Challenge Australia on TV sometime in the late 90′s or early 2000s, something stirred within me, something raw and natural came to life, emotions were awakened and life seemed to take on new meaning, it’s purpose made clear. Adventure! Life was to be an adventure, it was to be lived, enjoyed, explored and conquered! The idea to race the Freycinet Lodge Challenge has been with me probably from the first time heard about it: two days of racing in one of the most spectacular regions of Australia sounded absolutely fantastic. Most of our fellow adventure racers were there, bringing back great memories and stories, so the Australian Multisport Champs was on the must do list for a long time. Race headquarters was located at the Freycinet Lodge at Coles bay Tasmania, a place of exceptional beauty with stunning views of the granite peaks of The Hazards, white sand and blue sea including Wineglass Bay (voted by several travel authorities as one of the world’s ten best beaches). Adventure Junkie 8hr Race @ Nagambie!! !